Before I blogged about working from home, I spent a good deal of time reading about working from home. I would scour the corners of the internet (and still do!) to find any work from home opportunity that was out there. In that time, I learned about legitimate ways to earn extra money online, how to find freelance work, and where to go to when looking for some of the best job leads around (all while getting some practical advice, too!). My quest to find job leads and reliable advice to go along with them, lead me to some pretty amazing blogs along the way. In fact, I made it a point to check these blogs at least once a week. The result? Tons of valuable information that introduced me to hundreds of real work from home jobs and some actionable ideas, too. Now, that I have thrown my hat into the work-from-home blogging ring, I’d like to give a nod to all those who helped get me where I am today. 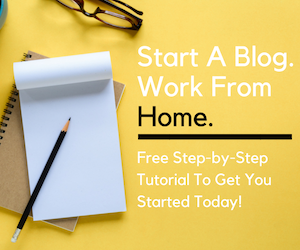 Without these blogs, I would have never gotten some of the work from home jobs I’ve landed over the years and most certainly would never have launched my own freelance career or blog. And you know what? I’m pretty confident, if you make it a habit to check out these blogs regularly too, you will end up finding the right work from home opportunity for you – whether that means starting your own business, landing your dream home-based job, or launching a freelance career. Sure, you could check Indeed Jobs or endlessly browse Craigslist to find many of the same work from home jobs, but what you lack on these sites is the personal touch that each blogger brings with those leads – real reviews, advice, ideas, and all around personality that make their corners of the Internet bookmark-worthy must-reads. So, here, in no particular order, are seven of my favorite work from home blogs that you should visit on at least a weekly basis to catch up, say hi, and see what they’ve been up to! Angie Nelson is The Work at Home Wife. She began her work from home journey when she started her own home-based Virtual Assistant business. It’s no surprise then, that she brings the same entrepreneurial spirit to many of the posts you will see on her blog. Readers can draw plenty of inspiration from her personal story and been-there-done-that advice she offers about making your own home-based career. No list of work from home blogs would be complete without mentioning The Work at Home Woman. 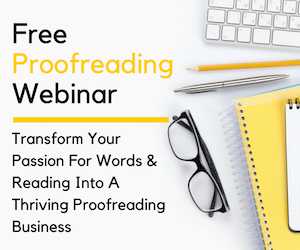 If you have spent any time researching home-based jobs, chances are, you already know Holly Hanna as the award-winning founder of this popular blog. Geared towards women who want to balance life, family, careers and everything in between on their own terms, you can find plenty of no-nonsense advice on being successful in your life’s endeavors. What’s great about Work at Home Mom Revolution is the approach Lisa Mills takes to sharing work from home job leads. As a work from home mom since the 90s, she truly understands the desire many parents have to earn an income while being there for their children. To help them reach their goals, she shares a variety of daily job leads. 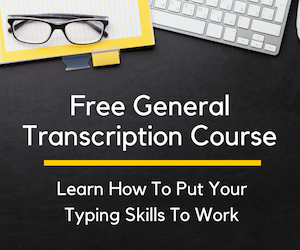 Currently working as a transcriptionist, Lisa recently wrote an ebook detailing how others can also launch a successful home-based transcription career – one of many legitimate remote job opportunities you can find when you stop by Work at Home Mom Revolution! Real Ways to Earn Money is a large resource of home-based jobs. There is a huge directory of work from home opportunities, tons of ways to earn extra cash, and enough job leads to keep you busy applying for weeks! This does not even take into consideration the several weekly updates of valuable blog posts Anna posts each and every week. Whether you want to be a freelance writer, track down non-phone jobs, or just earn a little extra each month, you can find it all (and more!) on Real Ways to Earn! As you might have guessed by the name, Free Work at Home Guide aims to be your go-to resource when you want to find free legitimate home-based job opportunities. Shay provides plenty of advice in the form of helpful beginner’s guides, company reviews, and daily job leads. If that wasn’t enough, there are also extra income opportunities listed as well as home business ideas for those entrepreneurial-minded home-based job seekers. Not Now Mom’s Busy is a work from home meets lifestyle blog ran by mother-of-five, Cori. You cannot go wrong with her weekly work-from-home job roundup as well as her general musings on making it work when working from home. What is unique about her blog is that not only does she show you how to make money from home, she also provides practical advice on how to keep the money you earn with various frugal advice and money-saving tips. At Not Now Mom’s Busy you’ll come for the job leads and stay for the fun of it all. At Work at Home Adventures, you can find words of wisdom, motivational advice, and tips on avoiding scams for the work from home jobseeker. All of these must-read articles are combined with plenty of home-based job opportunities ranging from benefits-based employee positions to independent contractor positions and even ideas for going solo with your own freelance career. Miranda is the blogger behind Work at Home Adventures and, as a mother and wife, understands that most would-be home-based workers have been in her shoes. As such, she discusses a variety of work from home opportunities that allow people in all sorts of situations earn income from home. 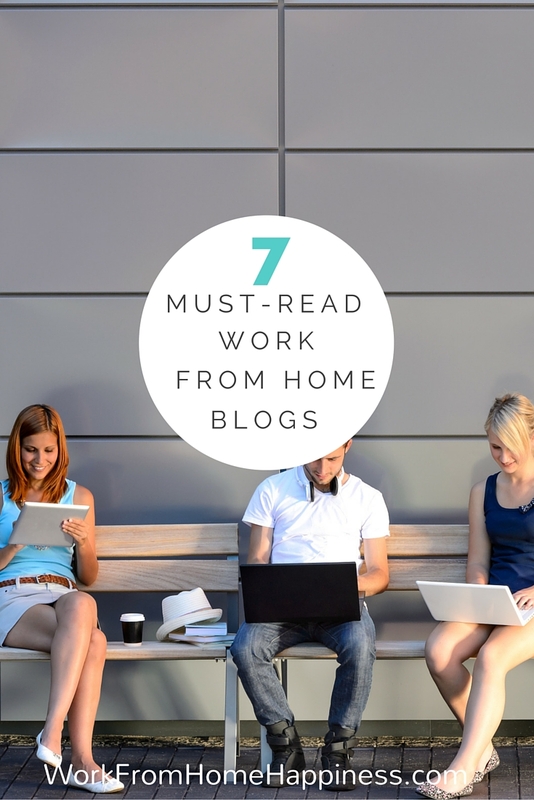 With these 7 work from home blogs in your feed reader, there will be no stopping you in your home-based endeavors! Whether you want to work for a company like Amazon, become a solopreneur, or just earn some extra money on the side, you can find the advice you need to get you where you want to go with these blogs. Be sure to bookmark them, give them a follow, and stop by frequently. While there, introduce yourself, say hello, give a comment, and share with your friends! Thanks so much for including Work at Home Mom Revolution on your list! I really appreciate it! You’re welcome, Lisa! You’ve got such great information over at Work at Home Mom Revolution, I’m happy to share! Thank you for stopping by. This list wouldn’t be complete without you on it, Shay! Thank you for stopping by, Holly! I am always happy to share all the helpful information you put together over at The Work at Home Woman! Just catching up on the blog posts I missed while I was offline for the holidays. What a sweet surprise it was to see my name included with the great ladies. Some I’ve had the pleasure of connecting with and some new ones who I will definitely be connecting with. This is a very impressive and informative list. I have always looked up to women bloggers who manages to enjoy their time being a mother at home while fulfilling a passion and creating a successful career even at home. This is why I have decided to get more details via CompareBroadband when it comes to internet services to be able to fulfill my dreams of becoming a WAHM as well. I love to express myself and blog at the same time. Hopefully I can contribute something significant to the online world while generating income as well. I am very grateful and flattered to be added here, Ashlee! Thank you! You’re welcome, Anna! Your blog has inspired many, myself included, to work from home. Yours was the first blog that came to mind when I sat down to write this post! Thank you for stopping by. I agree! That was part of my motivation to write this post. I have gotten so much from each of you within this niche, that I felt compelled to pay it forward 🙂 I know you share the same mindset 🙂 As always, thanks for stopping by! I recently started working from home by becoming a member in http://www.wahspace.com and applying to work from home jobs they have there. Awwww, such an awesome post full of so many wonderful work from home bloggers! Thanks for sharing this, Ashlee, I couldn’t agree more! Oh cool. Another great article when I was searching Google! Thanks and looking forward to reading more of your blog in the future. I know I’m a guy but we definitely want to see lots of work at home women in the future! Very good and helpful article. It will helps to make money at home. ladies and gentlemen, you’re all smart, you all know something that someone else would like to know – why don’t you sell that knowledge at koocam.com! Sign up for free – create cam of your knowledge and start make money online. Loved this post, very helpful and great people to follow ! Hello, I am Working with VR for More than a Year. Its good company and pay rates are fine but Work is very Easy. If you are looking for a perfect work from Home Job. Go for it! Work at home wife sounds hilarious. I’ve made some income with paid surveys. About 570 bucks in 14 months. Nice list! Thank you! Can’t wait to check some of these resources out. Great list Ashlee! I wanted to mention one thing I’ve been doing that others might be interested in. I started a fitness coaching online business. I started it last April and I’m taking it full time in August 2017 from my Nurse Practitioner career. If any one would be interested in learning more please let me know. Enjoyed reading your post. It was good to see a variety of topics with a short list. I’m mostly searching for motivational or how to advice on various aspects of my business. Perhaps you know of some? Thanks in advance!! 🙂 Your definitely one of my weekly reads! Look forward to reading more posts from you. Thanks for the great blog on working from home issues. I own a Business Transcription Services company. I’m sure some of your readers would find our low cost audio transcription options to be a great value for their company. Thank you Ashlee! I’m just starting to navigate things and I’m trying to figure out how to work on my own terms. Your post is very helpful! Thank you for your Information, it’s really good information. It’s very helpful for every one. Legitimate work-from-home jobs available right now! I have worked for them for 1.5 years now and they have a great client list and flexible hours. Great post! Working from home is like cherry on the cream for mom. What else a mom want that she is earning money while sitting at home. Here’s a great opportunity to start your online business with little investment. Set up your funnel and start earning! Sign up for Free and activate your account with Yoonla. I work for CodeMeCorrect and they have an excellent program for independent sales reps the money is just what I need and I work my own hours I recommend them for anyone searching for a new career. Check it out go to codemecorrect.com/apply to get in on the next orientation date! This a great list and full of inspiration. Thank you! I work for ITELBPO, a work at home company. I would love to be able to help them get their name out there, for others interested in work at home. ItelBPO is a great company to work for with great benifits.